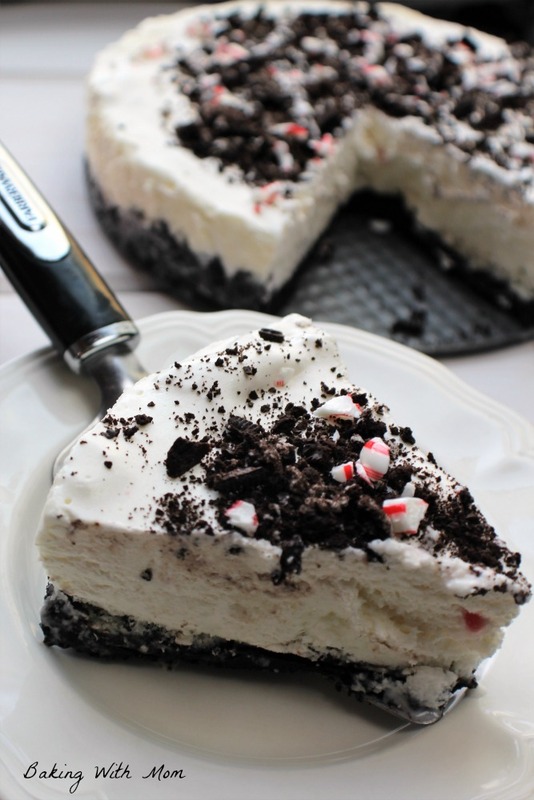 Peppermint Oreo Ice Cream Cake is made with the popular Peppermint Stick Ice Cream found around Christmas time. Only 4 ingredients and is a treat for your guests! Remember Christmas of yesteryear? When I was a child, the lights, decorations, excitement of Christmas all gathered together to make the Holiday so special. We would put up the Christmas tree, set up the Nativity celebrating the birth of Christ and make our favorite recipes. Mom would also always buy peppermint stick ice cream. 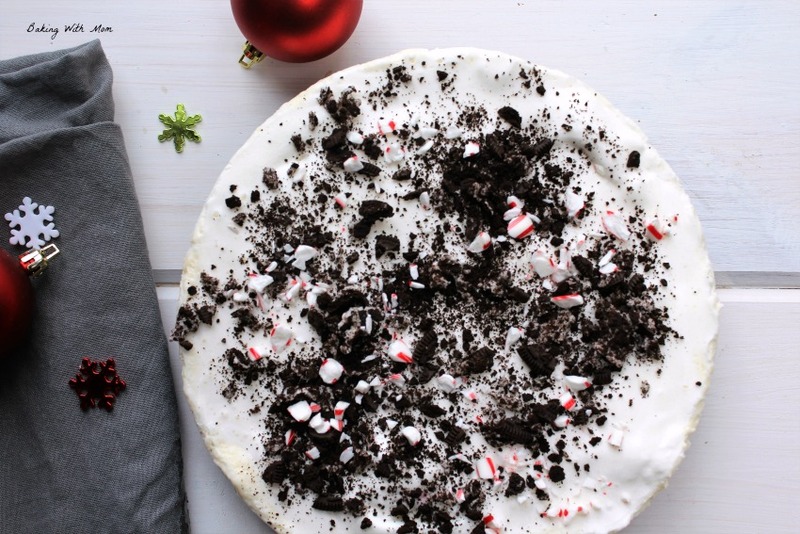 In honor of that memory, I thought I would put together an ice cream cake called Peppermint Oreo Ice Cream Cake. It only has a few ingredients, it is easy to make and it is great for Christmastime. I highly recommend having a springform pan like this one. You can certainly put it in a 9×13 cake pan, but when it is in a springform pan, it is easy to remove the sides and makes for a eye-pleasing cake. Having a food processor comes in handy as well. If needed, use a rolling pin and a baggie to crush the OREO cookies for the crust and topping. I like using the food processor because it blends the butter with the crumbs perfectly. To make this simple yet delicious cake, take Peppermint ice cream (Prairie Farms or Edy’s are good options) and let it sit on the counter for about 15 minutes to soften. Trying to mix up completely frozen ice cream is not an easy task! Meanwhile, crush the OREO cookies and mix them with melted butter. Place up the sides and on the bottom of greased pan. Bake. 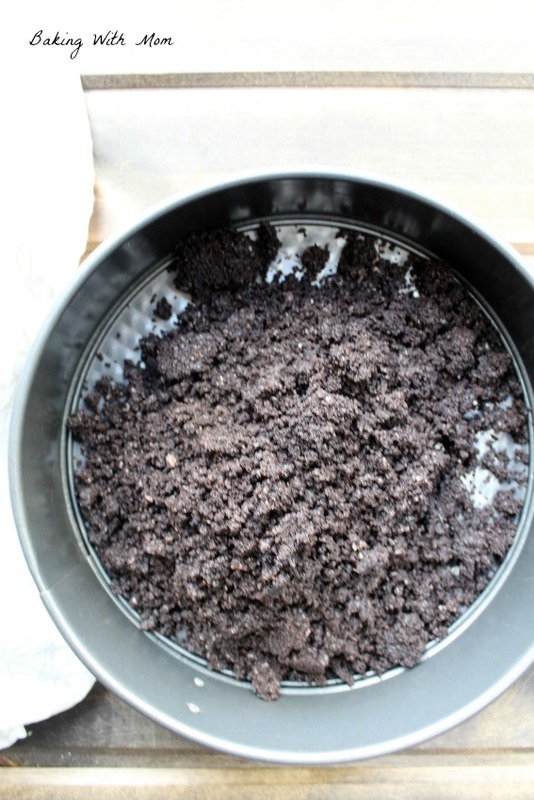 Take ice cream and mix with whipped cream then place on baked OREO crumbs. Freeze. I recommend freezing overnight for best results. If you don’t have that kind of time because you forgot to make it and you are heading to a gathering later (ahem, may have happened to me), it can be ready to go in 4 hours. This ice cream dessert is simple, eye-catching and has the Christmas flavors that will please your guests. Enjoy! Like Peppermint? 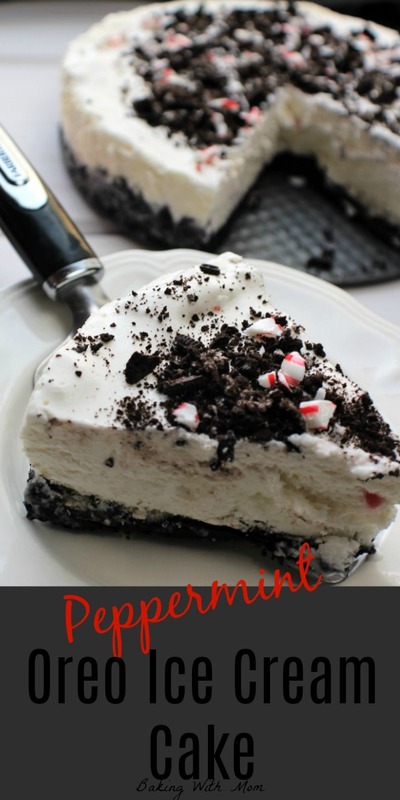 Here is a Peppermint Chocolate Cake that is great for dessert! 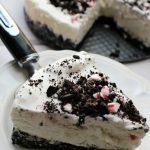 Peppermint OREO Ice Cream Cake with peppermint stick ice cream has four ingredients and is a Christmas recipe favorite. Made with an OREO cookie crust.